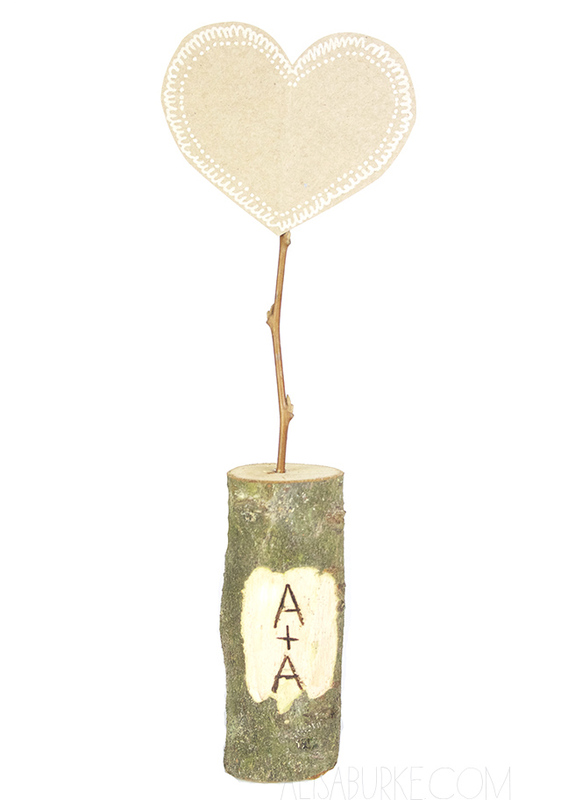 If you are a regular around here you will know that I love using simple supplies in my projects and I love using anything from nature (especially branches). 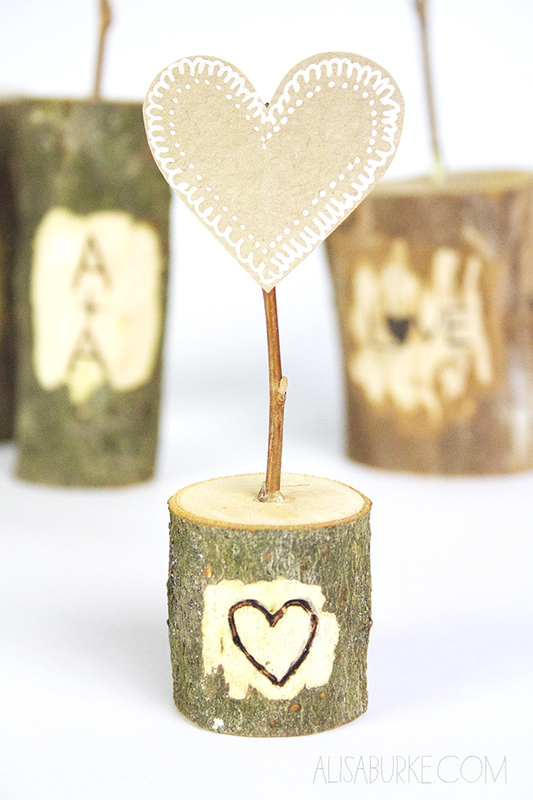 So I decided to put a fun and rustic twist on traditional valentines! 1. 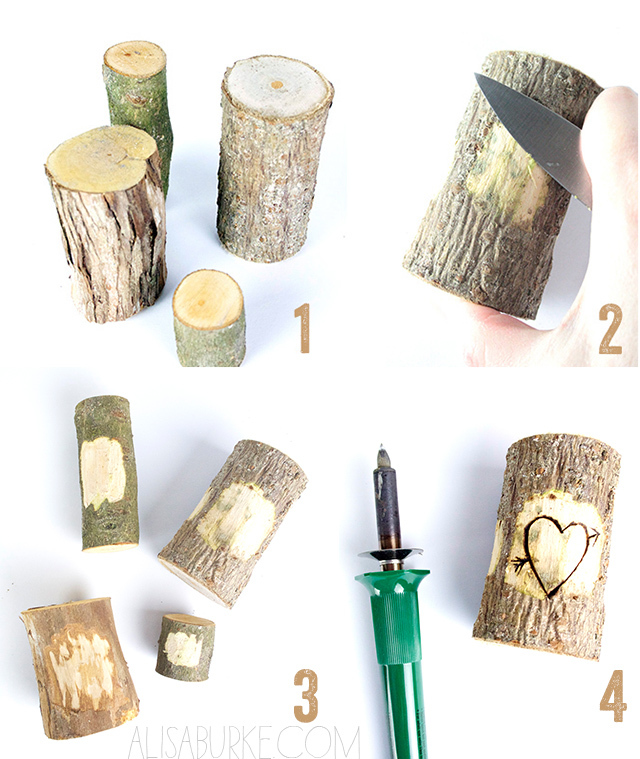 I started by gathering branches and cut them into chunky sections. 2. Next I carved the bark away. 3, 4. 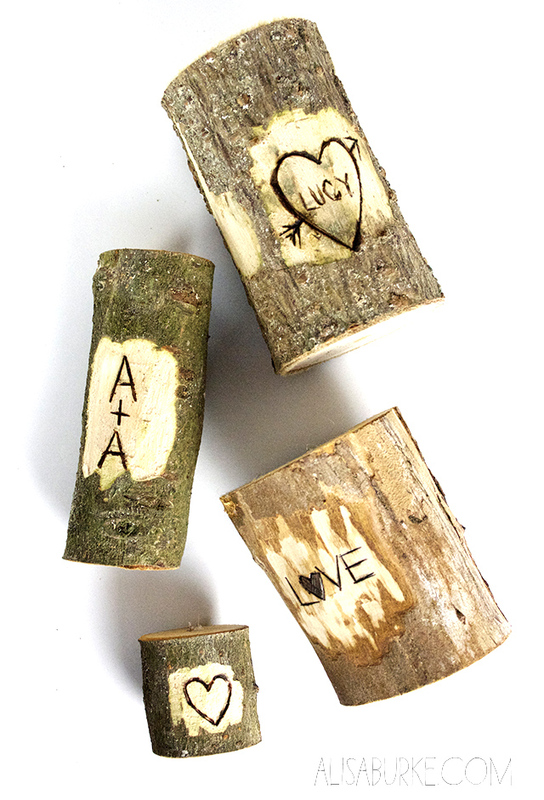 Then I used my wood burning tool to burn designs into the wood. 5. I used recycled grocery bags and cut hearts out. 6. I added a a few embellishments with a white paint pen. 7. 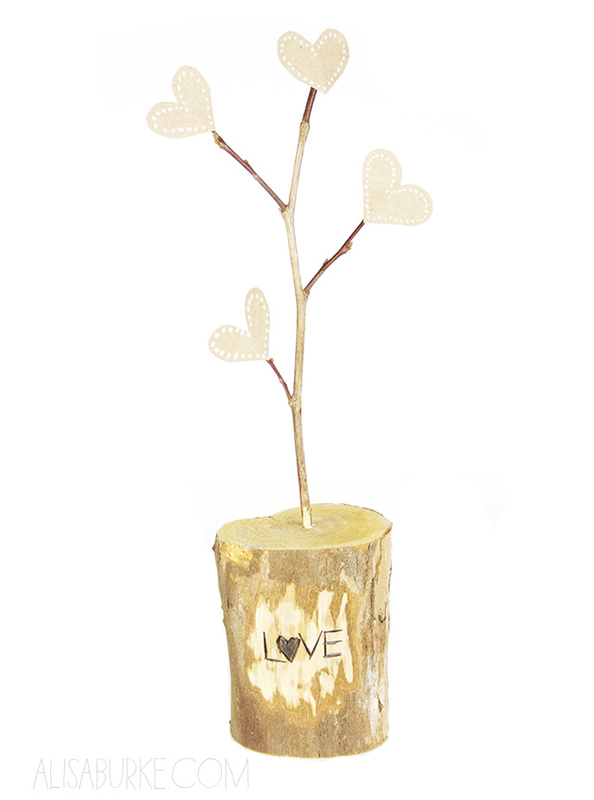 Last I glued those hearts onto twigs and placed them into the branches. 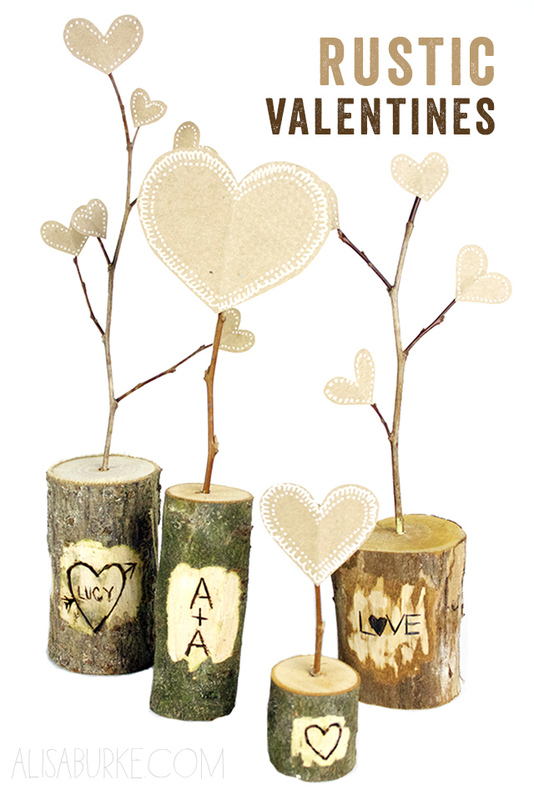 Ooohhhh ... these rustic valentines are enchanting!!!! i love this!!! i can see these on my mantle!!! now if i can squeeze some time to make them! I agree! These are so very enchanting! Love that they are so unique and made from nature! How fun! I will have to try this I am always looking to add more nature into my art and house. Thanks! So origianl and adorable. Love this one! super cute!!! Too bad I already got rid of my Christmas tree... This would be a great way for it to "keep on givin'" :o) All the best to you! Cool gift ideas. 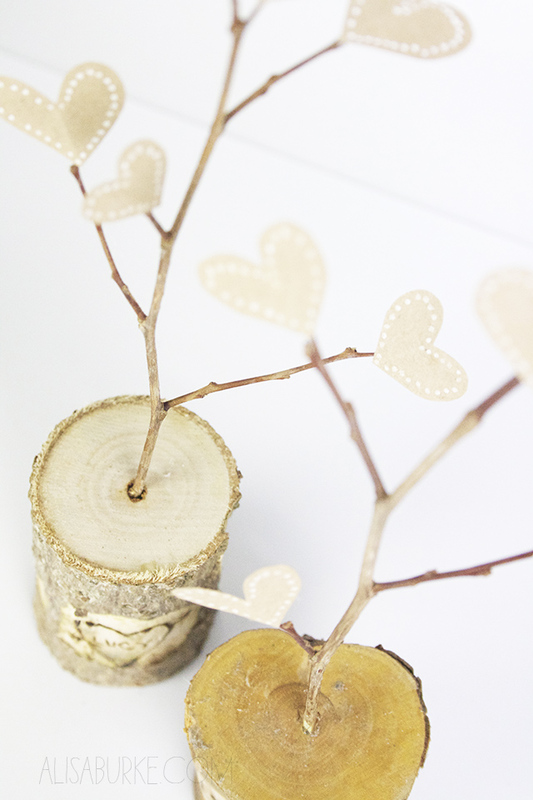 I love it and I also want to try to make something like that this Valentines day. Thanks for sharing. These are wonderful! Just pinned. WOW!!! 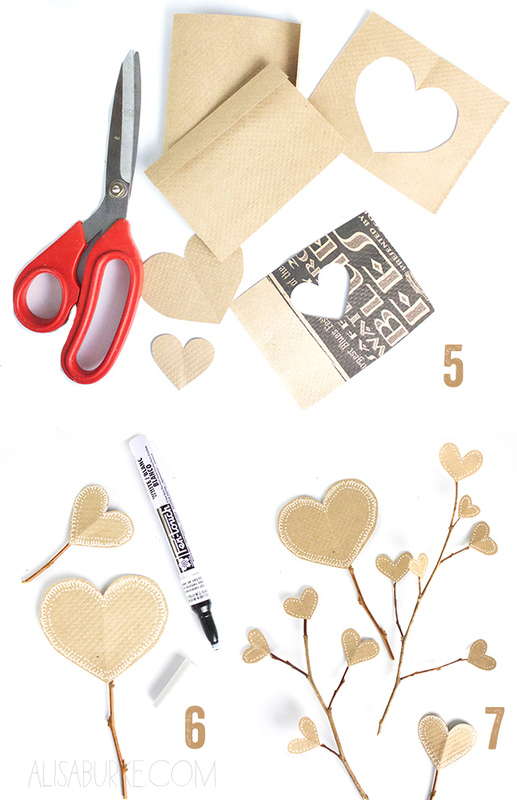 It's such a nice and easy idea to make something like that for Valentines day.I love it.Thanks for sharing.